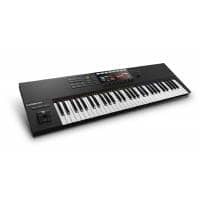 The Native Instruments A-Series Keyboards are a new addition to their lineup of outstanding hardware, bringing the Native Instruments ecosystem to a much more affordable market. 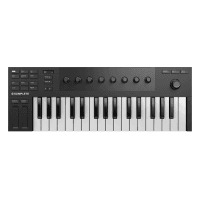 Aimed at people on a budget, or for beginners looking to get into the world of music production, the A-Series is the only MIDI keyboard range to offer a high-quality build, fantastic playability, and some of the world-renowned software native instruments has to offer. 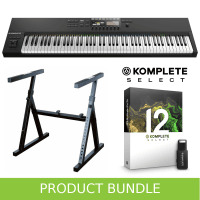 The keybed has been designed from scratch by Native Instruments specifically for this keyboard, to offer a smooth and responsive feel akin to some higher-end keyboards from other manufacturers. At this price point, it's hard to find anything better. The A-Series Keyboards feature a number of controls which make browsing, choosing and controlling a sound fluid and easy. 8 sensitive control knobs provide control over VST parameters, and through NKS a lot of these are already pre-mapped and ready to go on a whole range of instruments and effects. There is a small OLED display on the keyboard, but despite its size provides a wealth of information from presets to parameters. Audible previews of sounds are a great feature, and let you hear the sound before loading it. This will save a ton of time, and make finding your desired sound a lot easier. 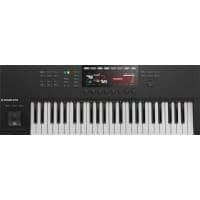 The A-Series Keyboards feature a number of high quality software titles by Native Instruments, worth over £250. For the first time ever, Maschine software is also included with a deep integration with the A-Series Keyboards.